European manufactured compact, robust & reliable long lasting high pressure electric cleaner for professional cleaning & washing. 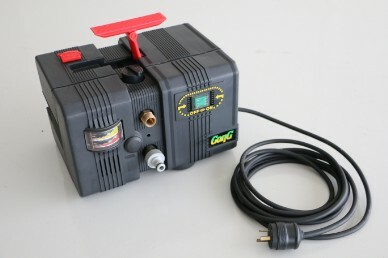 Features a brass pump head with ceramic pistons, chemical detergent kit, variable fan jet control and safety shut off gun. Easy to maintain and service this is a highly portable unit & can be additionally supplied optionally with a custom built 2 Wheeled powdercoated steel trolley for easy manoeuvrability. This is our entry level unit ideal for use around the home or farm that will get the job done quickly, saving your time and effort.